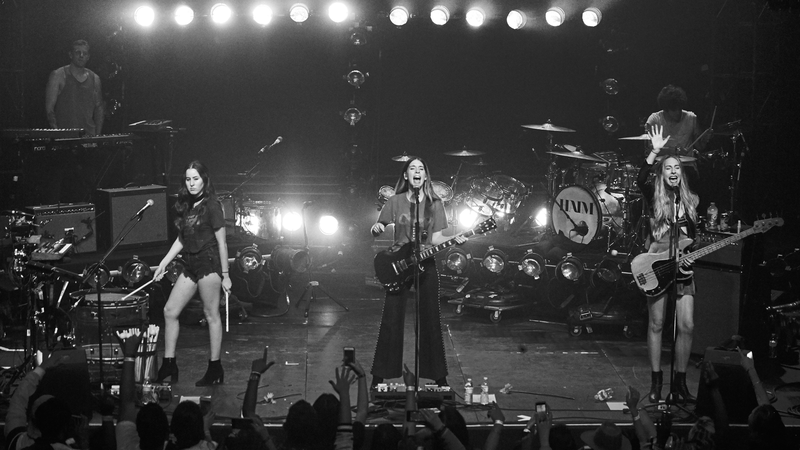 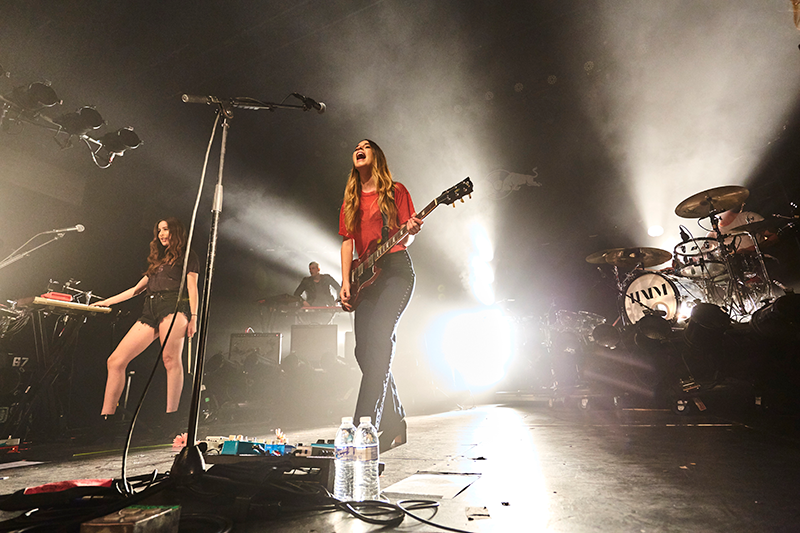 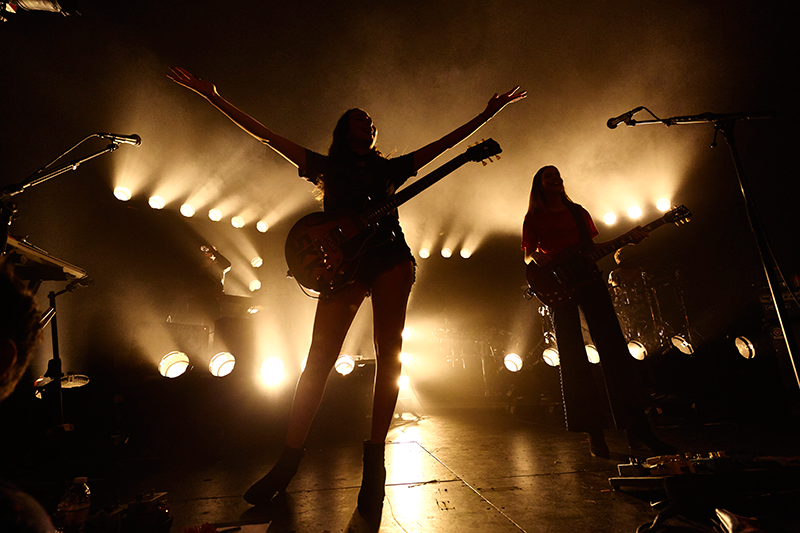 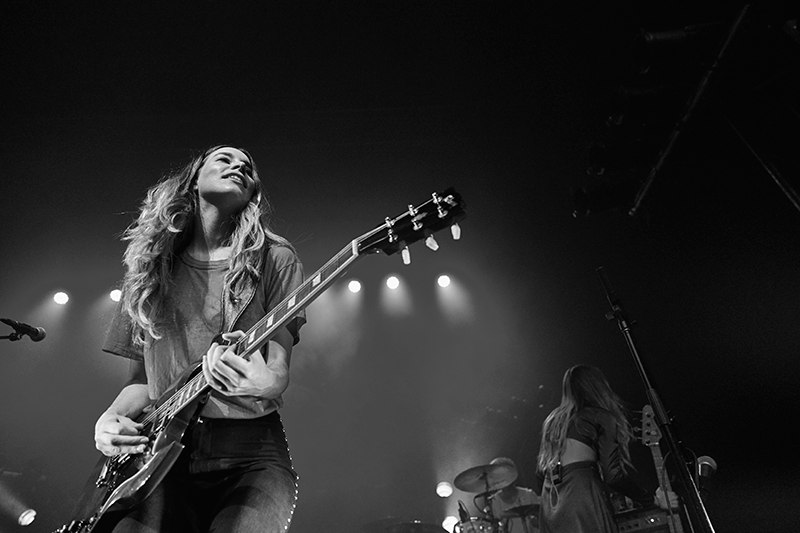 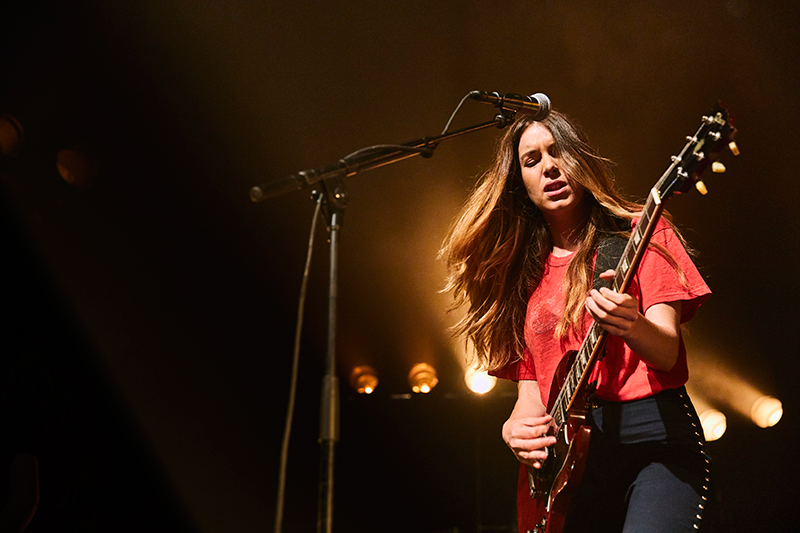 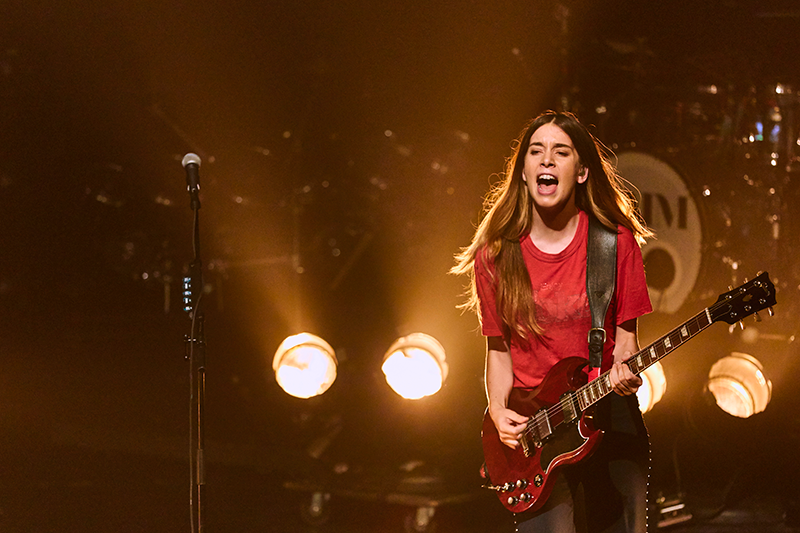 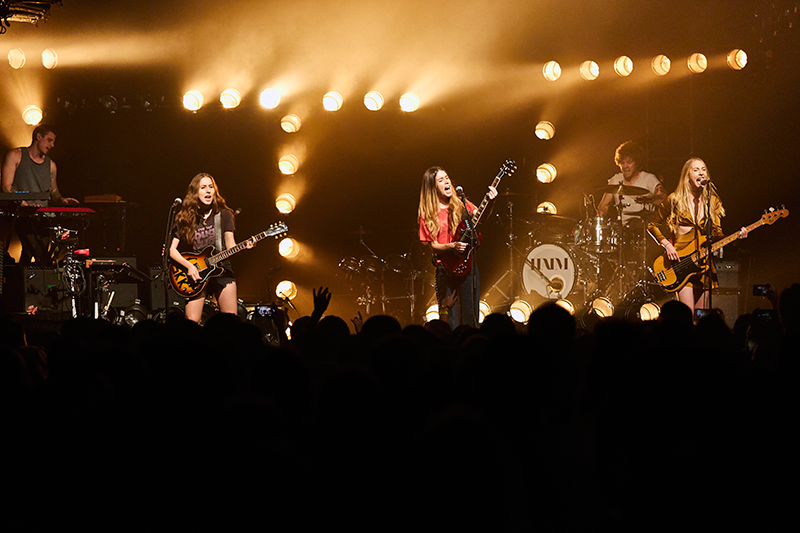 Have the chance to catch Haim live in concert this summer? 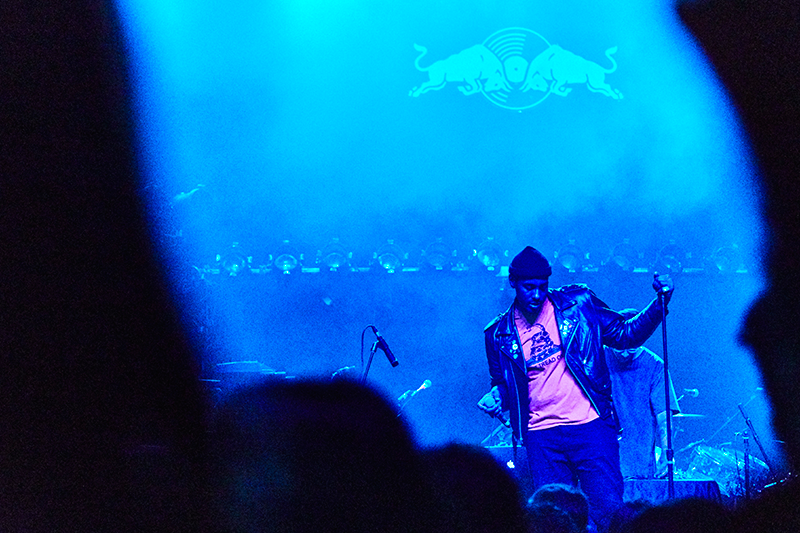 Consider yourself lucky. 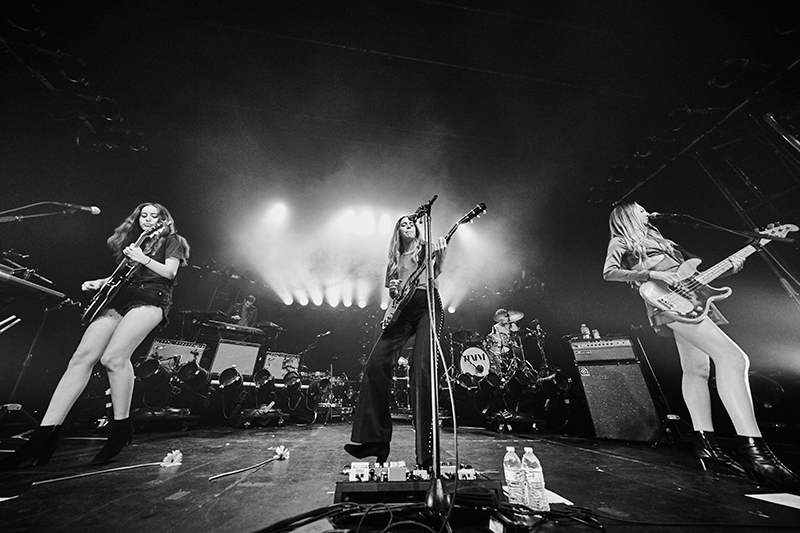 With no official upcoming tour or new album plans (though photos of them recording have been floating around the internet), the rest of us will possibly have to wait until 2017 to hear what's next for the sister rockers, Alana, Danielle, and Este—and fourth member Dash Hutton. 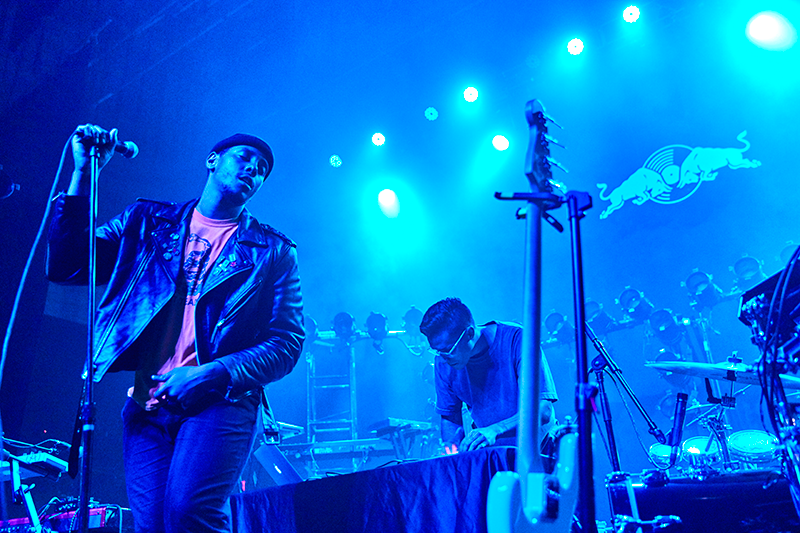 Luckily, they just came out in their hometown for a show at Red Bull Sound Select Presents: 30 Days In LA and we were there snapping pics. 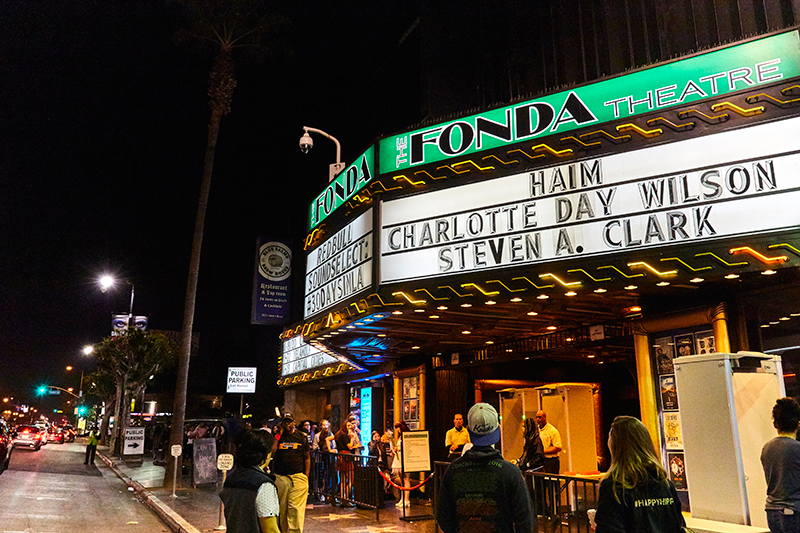 It all went down at the Fonda Theatre—the historic venue that opened over 90 years ago and is located right in the center of the action on Hollywood Boulevard. 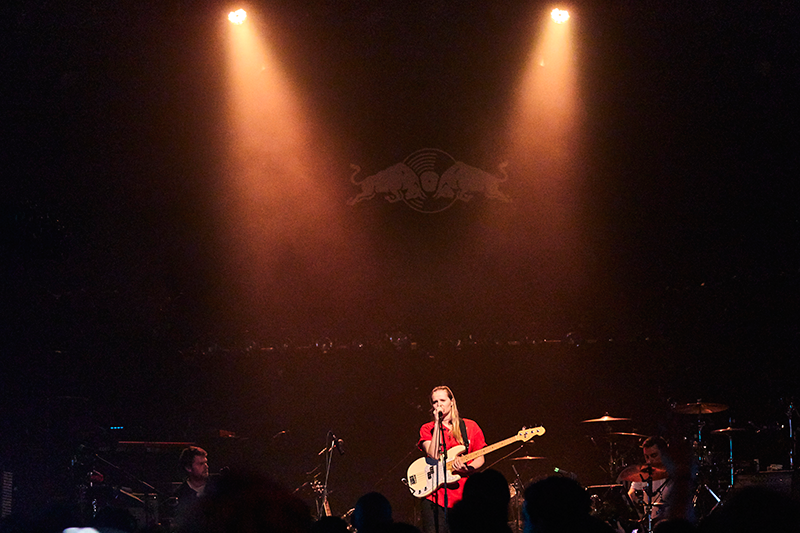 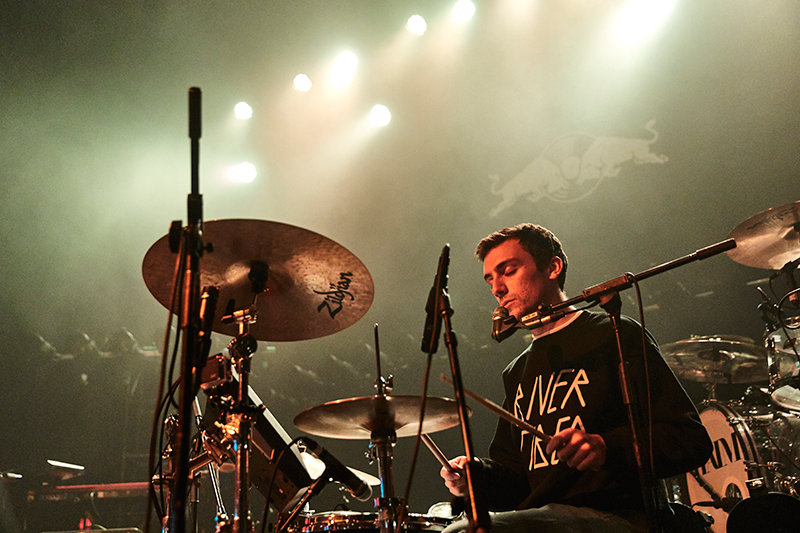 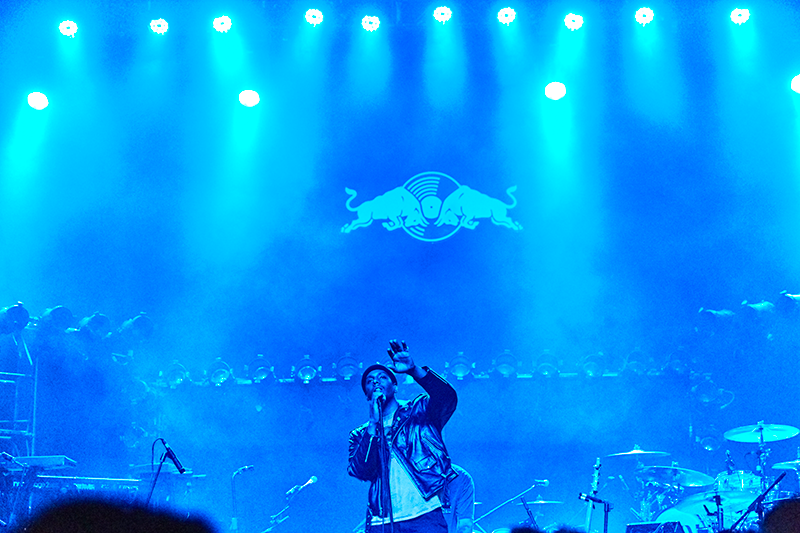 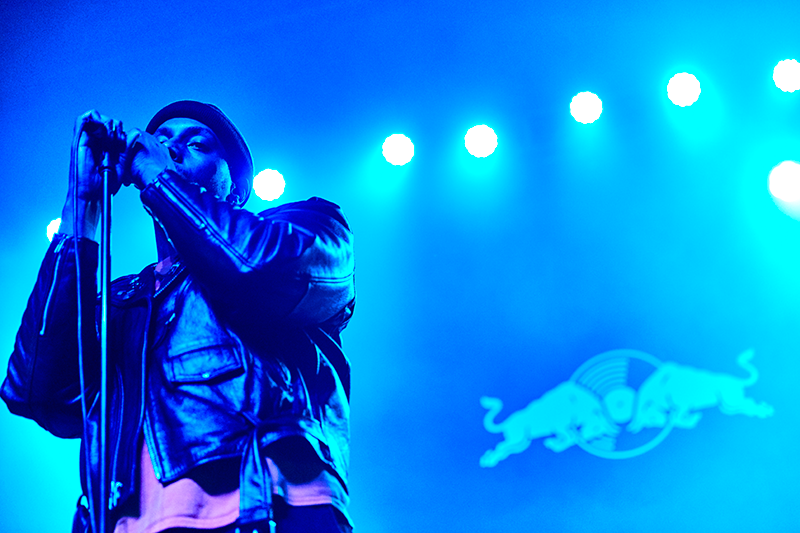 If you're unaware, the epic Red Bull music series kicked off earlier this month with a performance by Sampha, and runs until after a set by Nick Murphy (Chet Faker) on November 30. 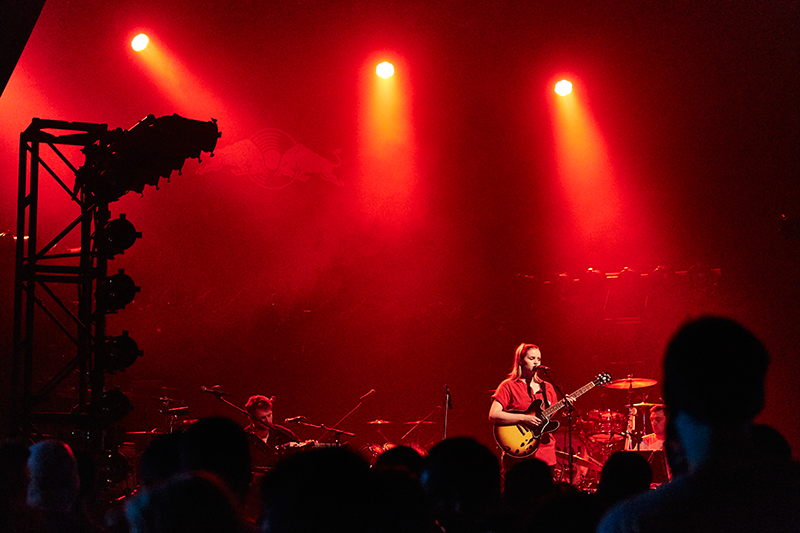 If you live in Los Angeles, be sure to snag tickets to the shows that are still available—trust us. 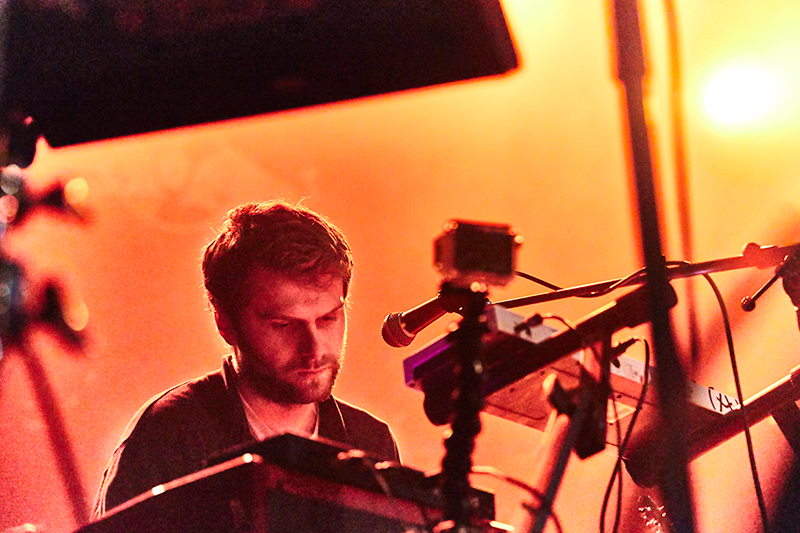 Miami's Steven A. Clark hit off the night with his smooth, relaxed R&B that comes with sprinkling of indie pop. 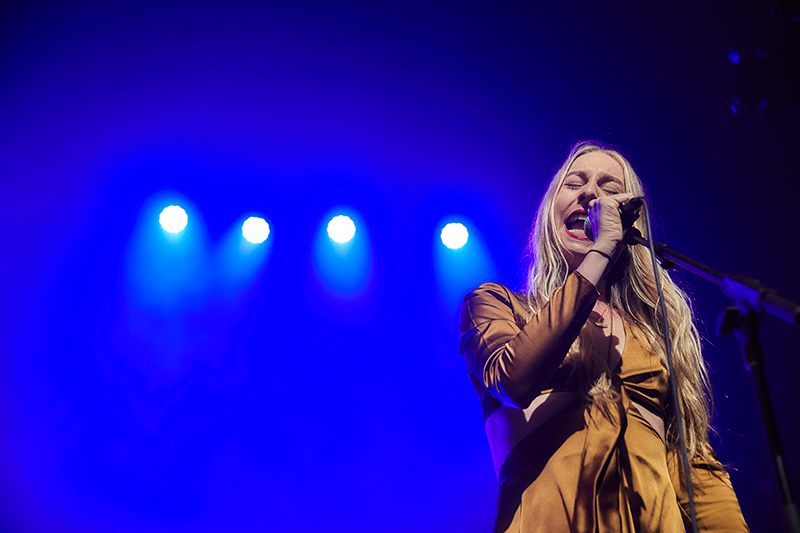 Their third album, The Lonely Roller, was released last year and tells of emotional, tragic love stories from his own life. 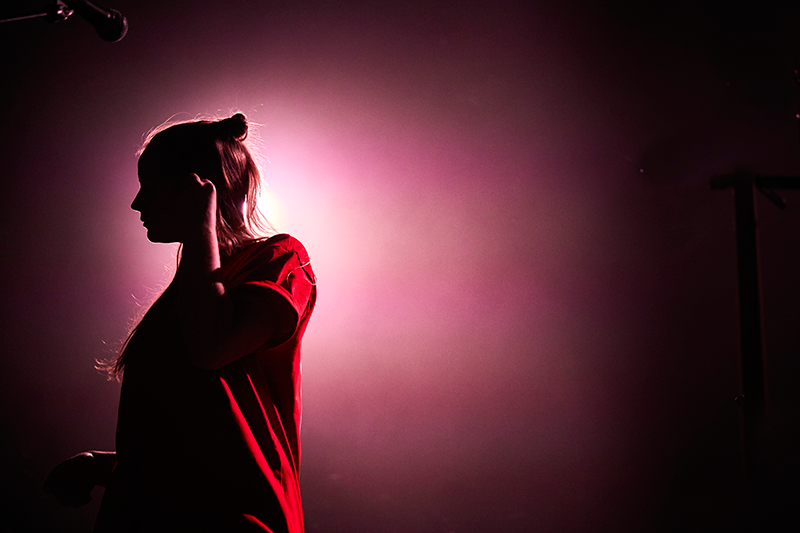 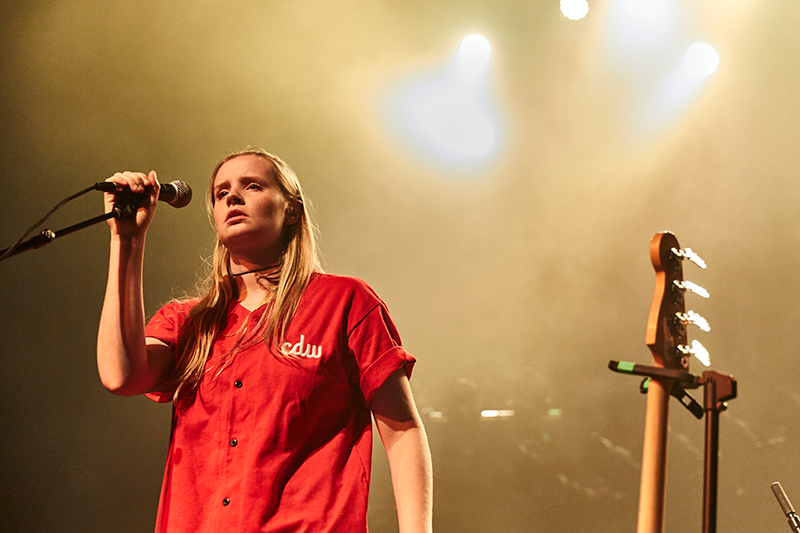 Next up, Charlotte Day Wilson, who hails from Toronto, brought a minimalist style infused with lovely pop melodies from her debut record, CDW EP, released last August. 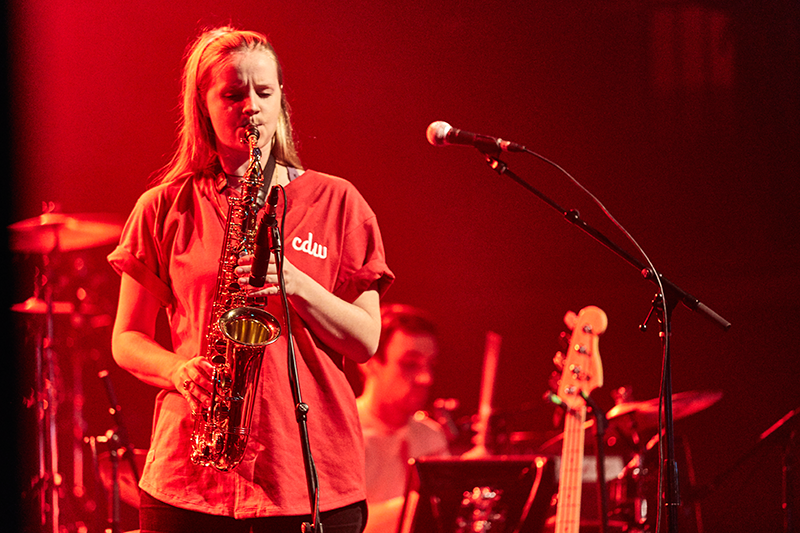 Wilson's occasional use of saxophone reinforced her effortless Jazz vibes that were present throughout her set, which included, "Where Do You Go", "On Your Own", and "Work". 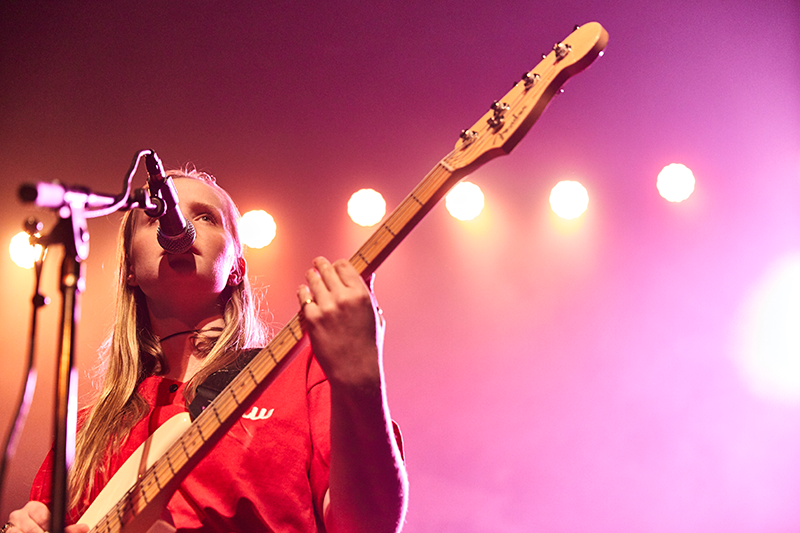 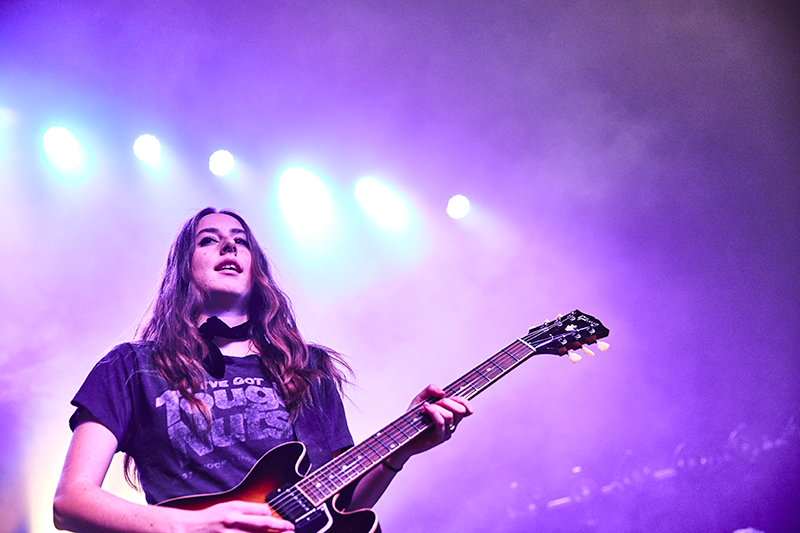 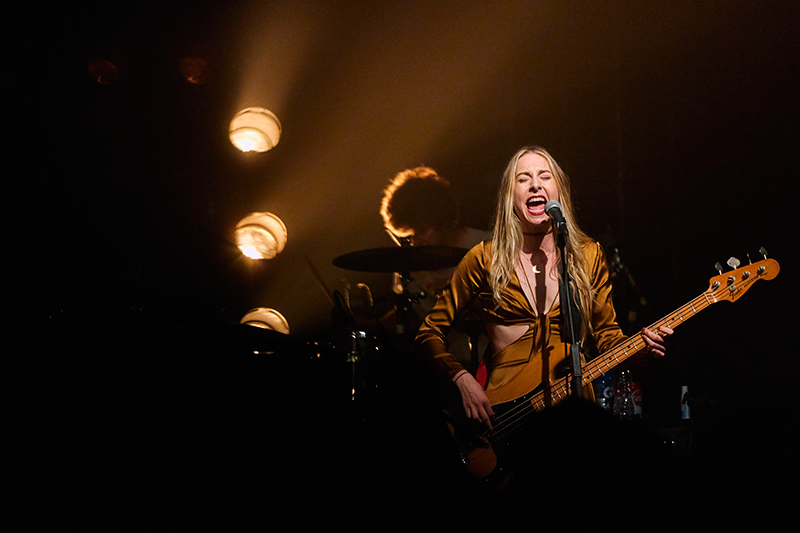 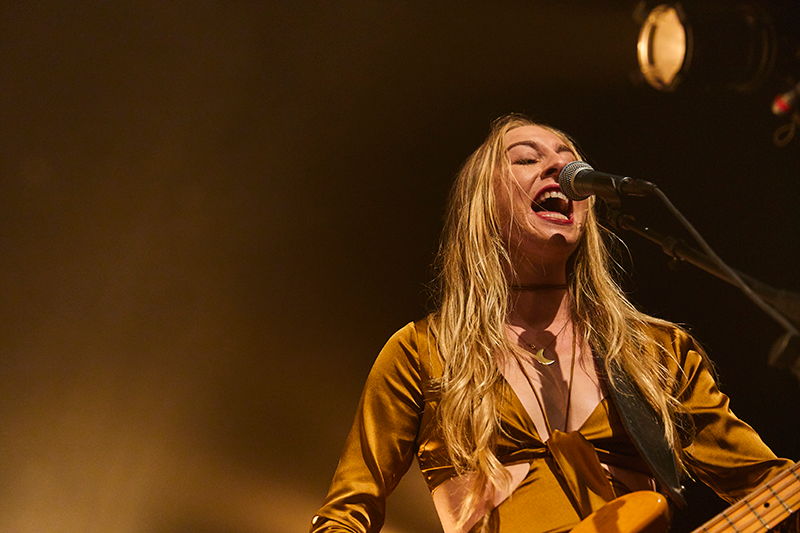 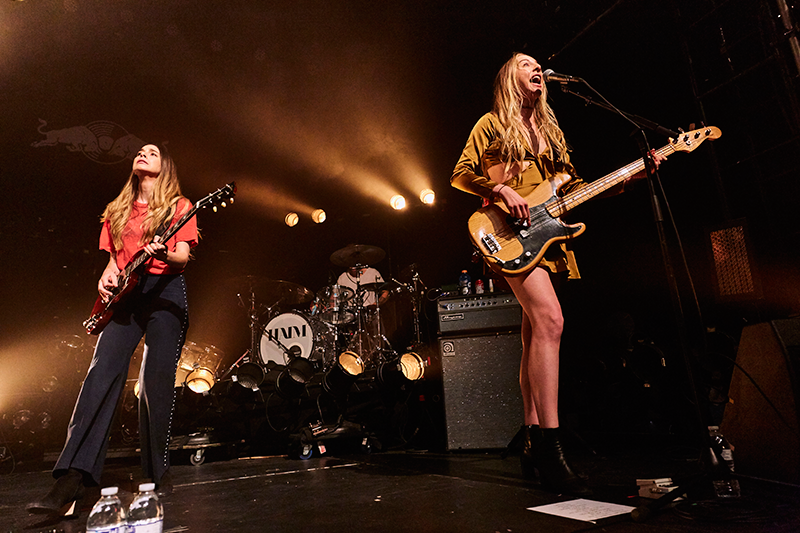 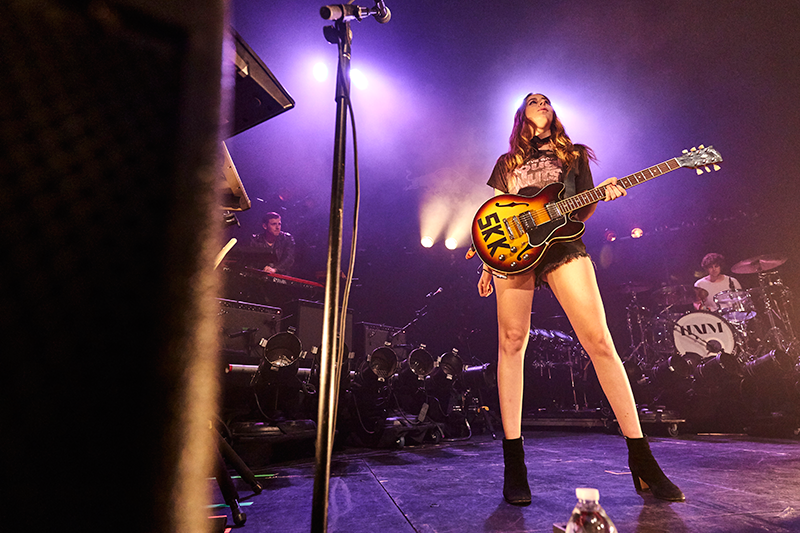 Check out our photos of Haim—as well as their setlist—below, and stay tuned for more pics from these awesome events! 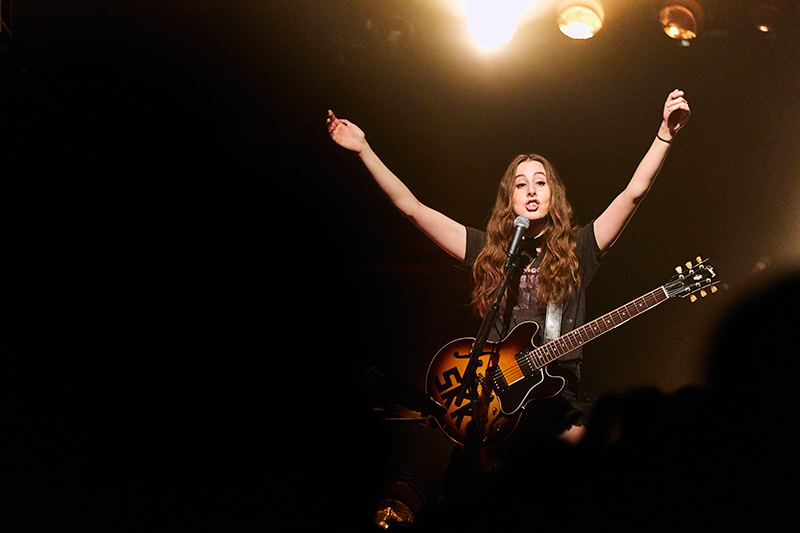 "Give Me Just A Little Of Your Love"